Do your kids talk back? Have tantrums? Scream at you? I grew up in a home where Christmas was a big deal, especially when it came to gifts. My parent’s weren’t rich by any means, but they did carefully plan and save every year in order to make Christmas extra special for my sister and I.
I have to admit, although I am very excited about embracing a more minimalist approach to Christmas giving this year…it is something that is slightly foreign to me. When I became a Mom, I wanted to be able to make Christmas special for my kids too. At first, I thought this meant we needed to have tons of presents under the tree. In order to stay within our budget, this inevitably meant a lot of the presents were low-quality, cheap toys that were plastic and not made to last. It also meant I was buying presents for the sake of having more “things” under the tree as opposed to having items I really wanted in my home long-term. What I noticed after repeating this type of Christmas scenario for a couple of years was that the more items my kids received at Christmas, the less they actually played with them. For the first few days, they would go from toy to toy, playing with each for less than ten minutes before looking for the next item. 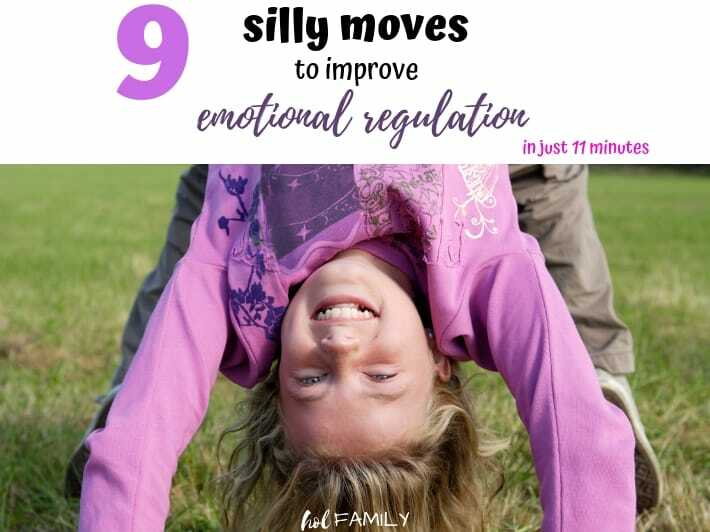 Unlike at birthdays or other times of the year when they might only receive one high quality toy that they really wanted and would play with for hours on end, the multiple toys received at Christmas only seemed to overwhelm my kids and create stress (in them and in me). What’s more, looking back I realize that most of these toys end up broken or donated within a few months. If we added up all of the money seemingly wasted on unwanted and unnecessary Christmas gifts over the last 5 years, we could probably take our entire family on a tropical vacation or purchase something useful like one of those Costco size play structures! This year, we decided we wanted to be more intentional with our gift giving. 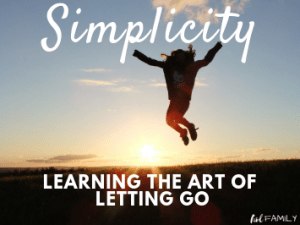 While we are working on removing clutter from our lives and home and embracing simplicity, we are not yet fully minimalists (although I would love to one day get there). 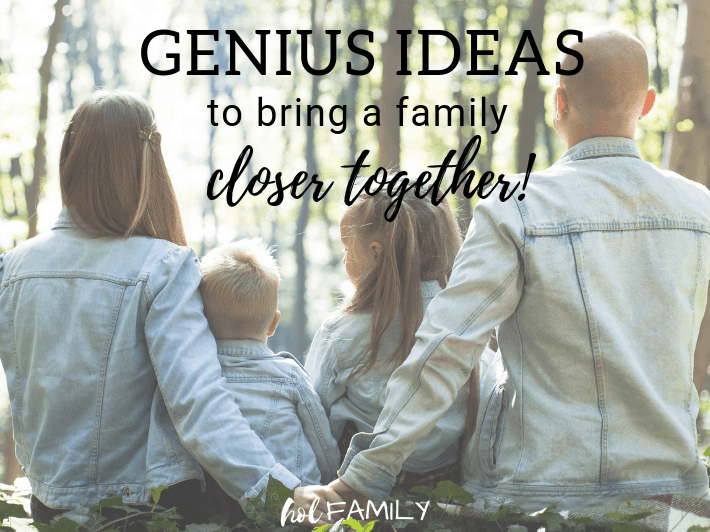 Similarly, when it came to planning our gift giving, I didn’t quite feel ready to scale all the way back to the four gift rule (something they want, something they need, something to wear, something to read). Instead, I decided to come up with my own spin on this minimalist gift giving guide and came up with an eight gift plan. For this year, we will follow this eight gift plan for each of our kids (David and I have been doing just stockings for each other for years), and continue with our tradition of one gift of new pyjamas for Christmas eve. We also will be doing stockings for our kids, filled with high quality items (not junk). 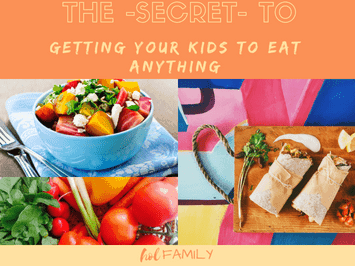 Something they want is probably the easiest category to buy for since most children have a long list of items they’ve been eyeing since last year’s Christmas. The hardest part here is narrowing it down to just one single item. Is this something your child has been wanting for a long time? Is this something you think they will play with after the “newness” has worn off? Is this something you want your child playing with? Does this require batteries (i.e. is it going to constantly require you to change the batteries or is it a super annoying toy that will drive you insane)? Is this eco-friendly and made from non-toxic materials? Is this going to foster my child’s imagination, incorporate problem solving, or promote creativity? Here are some ideas for toys that meet the criteria of promoting imaginative play, problem solving, creativity, and are great for kids of multiple ages. Wooden Musical Toy Set – This is a great example of a toy set that can entertain kids of various ages. Babies and toddlers love exploring the sounds that these non-toxic, wooden instruments make, preschoolers enjoy figuring out how each instrument works, and older kids can pretend they are part of a band! Magnetic Building Blocks – This is the perfect STEM toy to help your little ones develop creativity, learn about geometrical shapes and patterns, magnetic polarities, architectural design, and more! Also great for multiple ages and for playing together as a family. Discovery Space Centre – What is not to love about this 37 piece wooden space ship set? Your little budding astronauts will hone in on their kinaesthetic and creativity skills while they blast off to outer space. Eco-friendly, non-toxic finishes, and kid-approved! Wooden Pattern Block Set – Another toy that encourages imaginative play and creativity. One of my favourite aspects of this toy is the fact that the magnetic tiles and carrying case make it a perfect toy for traveling! Playground Engineering & Design STEM Set – The ultimate toy for learning AND fun! Kids (or adults because this one is super cool) can design and build their own playground, complete with swing-set, seesaw, slides, and more! Mental Blox – Calling all puzzle lovers! This brain boosting logic game is entertaining for kids of all ages and teaches critical thinking skills too! Stack, pattern, and match the multicolour shapes or create your own design. Something they need is definitely a category that leaves a lot of room for flexibility. Obviously if you allow your children to interpret what they need, it may look a little different than what you had in mind. We plan to use this as an opportunity to promote creativity and/or physical play. Art supplies, sports equipment, a new bike, or a trampoline are all excellent examples depending on your family needs and budget. Standing Art Easel – This multi-use art easel features a dry erase board, chalkboard, paper roller, and child-safe paper cutter. Kids love to create, and this set will bring out the Picasso in your budding little artists. Mini Trampoline – We absolutely love our Springfree Trampoline in the backyard for burning off extra energy and encouraging outdoor play, but we also live in a part of the world that is winter for about 8 months of the year. This mini trampoline is a great indoor solution for physical activity on those days that you aren’t able to get outdoors. Gymnastics Mat – Kids love to roll around and play on the floor. This two inch thick, foldable mat is another great solution for encouraging indoor physical play. Kids can practice yoga, balancing, somersaults, cartwheels, and more. Floor Chair – This is a must have item for every home. Parents love being able to protect their backs and sit on the floor to play with their kids, children love using these for reading books or lounging, and teens love these for gaming, hanging out with friends, and doing homework. Some obvious choices for something to wear might be new shoes for school, a favourite sports jersey, a ball cap, or a new tutu. If you find yourself saying “my kids have too much in the way clothes as it is,” here are some options for “wearable” gifts that won’t add more clutter to your closets. Hooded Towels – My kids LOVE hooded towels, and these are my all-time favourites. Ultra-soft, super absorbent, extra thick and large, these are great for wrapping up in after bath time or even for the beach. Eco-Friendly Backpack – These eco-friendly backpacks come in two sizes, one for toddlers and preschoolers, and one for school age kids. Free from PVC, phthalate, lead and BPA, this raw linen backpack is environmentally friendly and non-toxic. Parents also love that it is machine washable!and doing homework. Baltic Amber Necklace – Amber necklaces are a lifesaver for teething babies, thanks to their anti-inflammatory properties. But did you know that they are also great for kids and adults? Amber is excellent for boosting the immune system, increasing focus and concentration, and improving overall moods! Non-Toxic Nail Polish – This water-based nail polish is free from harsh chemicals, vegan, and animal-cruelty free. Kid-friendly, and safe for pregnant and nursing Mamas too, this nail polish comes in lots of fun colours. Be sure to grab a bottle of acetone-free nail polish remover too! Weighted Blanket for Kids – Weighted blankets are increasing in popularity thanks to their many health benefits. If you have a little one who struggles to sleep at night (don’t we all?!) then a weighted blanket may be just the solution you’re looking for! There are so many health benefits of reading, and reading to or with your children promotes bonding, encourages early literacy, teaches important lessons, and so much more. Older children and teens who spend time reading to themselves benefit from less anxiety, improved concentration, less screen time, increased learning and comprehension, and better sleep. I grew up reading a lot of the classics, and love to read some of these forever favourites with my own children. Classic literature is timeless and teaches children so much about language and history. Other great options for the something to read category are kid-friendly Bibles (on our wishlist this year), magazine subscriptions, crossword puzzle books, “how to” type books (lego creations, crochet, kids cookbooks), photo books, or personalized books. Laugh Out Loud Jokes for Kids – If your kids are anything like mine, they absolutely love telling jokes! This popular collection of hundreds of one-liners, knock knock jokes, tongue twisters will have you and your little people giggling for hours! Tabletopics Family: Conversation Starters – Do you ever find yourselves struggling to find topics to chat about around the dinner table? These cards are uniquely designed to engage children in conversation with a range of silly, thought provoking, and encouraging topics. The Action Bible – Our family adores this Bible. With more images than any other Bible, your entire family will enjoy the comic strip style narratives that actually follow the chronological sequence of the Bible. Ladybird Tales 22 Classics Book Set – We purchased this set for our kids two years ago at Christmas time, and it is still their favourite book set! With classics like Cinderella, Goldilocks & Three Bears, Hansel & Gretel, Jack and the Beanstalk, Little Red Riding Hood, Rapunzel, Snow white and the Seven Dwarfs, and Three Billy Goats Gruff, this collection is a great way to introduce these timeless tales to your children. One thing that I am trying to teach my children is that things do not have to be new to have value. I love the thrill of hunting through a thrift store, looking for some treasure to bring home. I often sell and buy clothing, toys, furniture, or other household items at local consignment stores, on Facebook marketplace, or kijiji. Not only is this better for the environment and for teaching my children how to avoid consumerism, but it is much better for my budget too! Your something used item may be a toy that your child has been wanting that you find in a children’s consignment store or on Facebook, or perhaps you have a toy exchange party with a group of other parents. Ebay can be another great place to look for a gently used version of a wishlist item. Another great idea would be to pass down a cherished keepsake, family heirloom, or piece of jewelry. Old clothing, hats, or shoes could make wonderful additions to a dress-up trunk. My husband, David, went through his childhood keepsakes bin and found a few of his favourite toys from when he was a child. These made wonderful gifts for our kids and it brought him so much joy to see his own children making new memories with his old toys. I have to admit, I am not a super crafty person. I love the idea of crafts and pin all sorts of fun looking ideas on Pinterest, but when it comes to visual arts…I am not very creative. Luckily, something made doesn’t have to be a craft, nor does it have to be hard or intimidating. 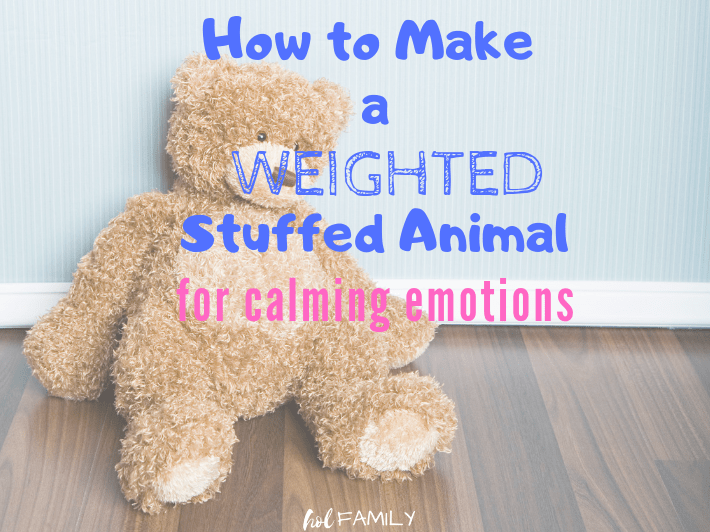 If you ARE crafty or have some special skill or talent like whittling wood into a homemade toy or sewing doll clothing, then this category should be fun and easy for you. If you aren’t crafty, I’ve come up with some ideas that don’t require glitter, scrapbooking paper, or a hot glue gun. For the family who has too much stuff, something to do can be a meaningful and cherished gift that doesn’t take up space, require batteries, or end up in next year’s garage sale. Memories last a lifetime! With three children, we’ve really come to appreciate any individual time we get to spend with our kids (as do they). Alone time with Mommy or Daddy is very important and we’ve even started a tradition of “dating” our kids. This is a category that could be very inexpensive and simple (a date to go ice skating and get hot chocolate with just Mommy or Daddy) or extravagant and elaborate (tickets to an NHL game, broadway show, or favourite singer). One of our favourite family activities is to play a game together. David and I love playing board games, and this was something we really wanted to foster in our children too. When they were very little, we began with games like matching and Guess Who? UNO soon became one of our popular choices and taught important lessons like turn-taking, colours, adding, and self-control (after all, only one person can win). We made it a tradition to buy a new game every year at Christmas, and play it together after all the presents have been opened and explored. Typically, we spend a great portion of the day playing one game after the other. This time spent bonding as a family is so precious to us and is a tradition we plan to carry on. Uno – I can’t say enough about how much fun this simple card game can be for the whole family. Don’t be fooled by the “ages 7 + ” on the box! We started playing this with our kids when they were as young as 3 and they were able to beat us most times! Mouse Trap – If you never played Mouse Trap as a child, you’re in for a treat! Kids love watching the marble travel through to the finish and seeing if their mouse will be trapped by the falling cage. Sorry – Kids love being able to take out their revenge in this family game by sending others back to the start. It’s a race to the finish line and any family members with a competitive spirit will adore this game. Trouble – This is another game that I grew up playing and is now a favourite with our kids. Similar to Sorry, it’s a race to the finish line and you could be sent back to the start if you aren’t careful. The popping dice bubble is definitely the highlight of this game for most kids. Marble Run – This was on our son’s wishlist last year, and it is definitely a toy that gets played with often! Kids can use STEM skills to build various runs, and race their marbles to see which run is the fastest. Operation – This game can be great for teaching fine motor control. Everyone gets to take turn playing surgeon and “operating” to remove Cavity Sam’s ailments. This is one game that can be played solo or as a family. Catan Junior – If you are fans of Settlers of Catan like we are, then you’ll love this Junior version geared towards kids aged 6 +. This is a game of strategy, and once kids master the concept of the game (takes about 10-15 mins), they’ll be hooked! 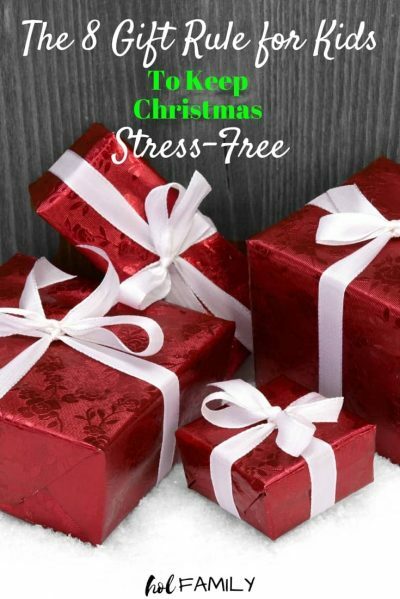 We are so excited to have a stress-free (and clutter-free) Christmas this year by following this eight gift rule! Now to come up with some useful, “non-junk” stocking stuffer ideas! Will you be following a four or eight gift rule this year? Are any of these items on your list to buy? We love hearing from you…leave us a comment below and let us know! 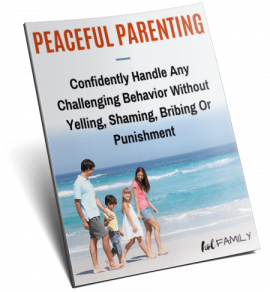 Sign up to receive your FREE guide to confidently handle any challenging behavior using the power of peaceful parenting! I'm Raina, co-founder of hol FAMILY with my hubby, David. Mama to three children who make me smile every day. RN turned Holistic Nutritionist, Health Coach, and lover of all things natural. I'm passionate about living a holistic lifestyle full of joy, simplicity, and balance. Excellent article! I’ve share on my feed! Since doing this last year with our Grandkids – Gammy and Gampy have found it to be truly rewarding. The date gifts. Peppa Pig Live. Disney Skating on ice etc were all amazing and extended Christmas into the new year – teaches patience but the time with our Grandkids is more precious than gold. That is exactly right! Many times the novelty of new toys wears off in a matter of days but those experiences will stay with them forever! These tips are lit!!!! I love them. My fav section is the *something they need*. I will definitely refer to this when I start shopping for my little siblings toys. Glad that you found it helpful! That’s right! 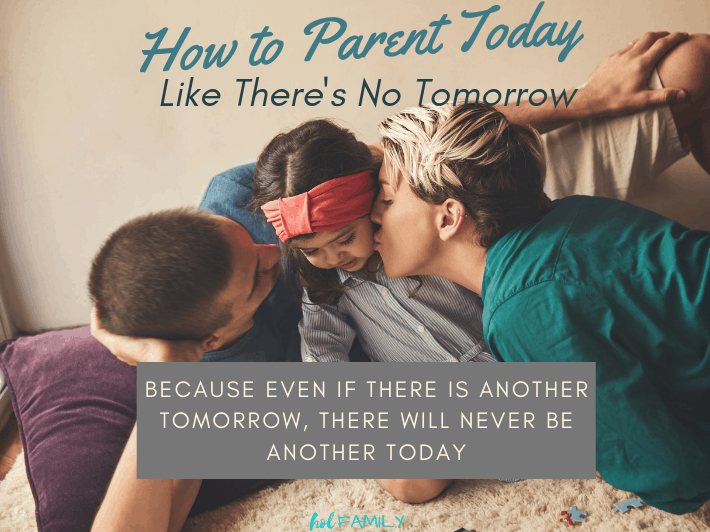 Our kids love going on “dates” with Mommy or Daddy…such a unique way to help them feel loved. These are nice. It helps me to decide what to wrap on Christmas. Thanks for sharing! You’re welcome! Glad you found some ideas you can use! Buying gifts can be very expensive especially if we are not careful. Christmas is always big in our family, not gifts big but just fun, good time and visiting with each other. I always buy my kids and husband gift at Godwill or Second store. Luckily they always embrace it and thankful about what they get. Most of the toys I buy on Facebook group and just clean them. Shopping smart is a key also to be able not to spend so much but still able to give gifts. This year I think we are just taking our kids to see Christmas lights and do other Christmas activities instead of spending it on their gifts. Still give them gifts but not so much. Great article here thank you for sharing. Thanks Anna! We also often buy used toys and items…they still have so much value. Better on the wallets, the environment, and teaching our children not to be consumers. I have never heard of these 8, but I have heard of the 4. I like this idea a lot and we definitely need to minimize our gift giving. I especially like the experiences gift! Glad you liked the list! Yes, experience gifts are so fun and create memories. The best part is that they don’t add clutter! Love this, something made and some to play are very nice! I like to do something you want, something you wear, something to read, and something to share! Thanks Jen! It is so much easier to have these lists to focus on as opposed to feeling like we have to buy it all! Hi! We're David & Raina! A husband and wife team with three precious children. 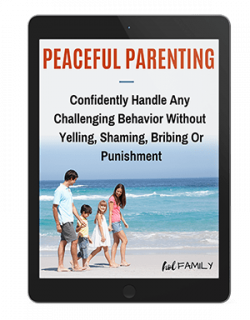 We believe optimal nutrition, holistic living and gentle parenting are the keys to a healthier and happier family. We’re in our early stages. There are great things to come! Stay in touch and we’ll update you as we release new and exciting content! hol FAMILY is a participant in the Amazon Services LLC Associates Program, an affiliate advertising program designed to provide a means for sites to earn advertising fees by advertising and linking to amazon.com.